Isn’t green such a great color? I love being outside and seeing all of the green beauty in the world! Green is everywhere - food, animals, and plants! Celebrate the color green with these crafts to make with your kiddos. Hop around with this green frog puppet. This project is lots of fun and turns out SUPER cute. This homemade slime provides hours of fun! Turn off the lights to see it glow in the dark. Collect different sizes of pebbles to paint green. Put them all together to make a bouquet of cacti. Follow the recipe to make this yummy smelling green apple play dough. You only need 3 ingredients for this craft. This green fruit salad is scrumptious on a hot summer day. Assemble the fruit on skewers to make a fun snack for kids. Growing herbs in a mason jar is super easy. Your kids will love seeing their plants grow every day. These paper plants will look beautiful in your home. This is a quick and easy craft for any age. Make a little family of peas in a pod with this fun kid’s craft. You’ll need green construction paper and green craft foam for this project. Do your kids love the classic picture book The Very Hungry Caterpillar? 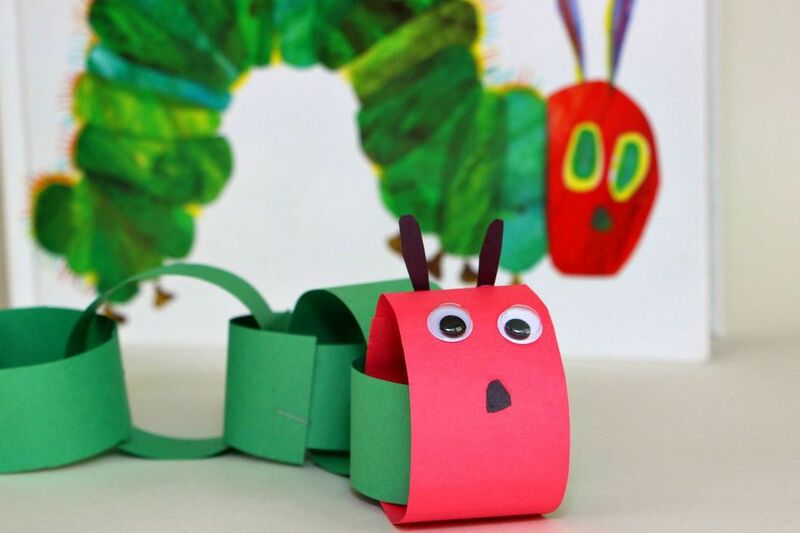 Try this cute and easy craft to make your very own hungry caterpillar out of just craft paper!